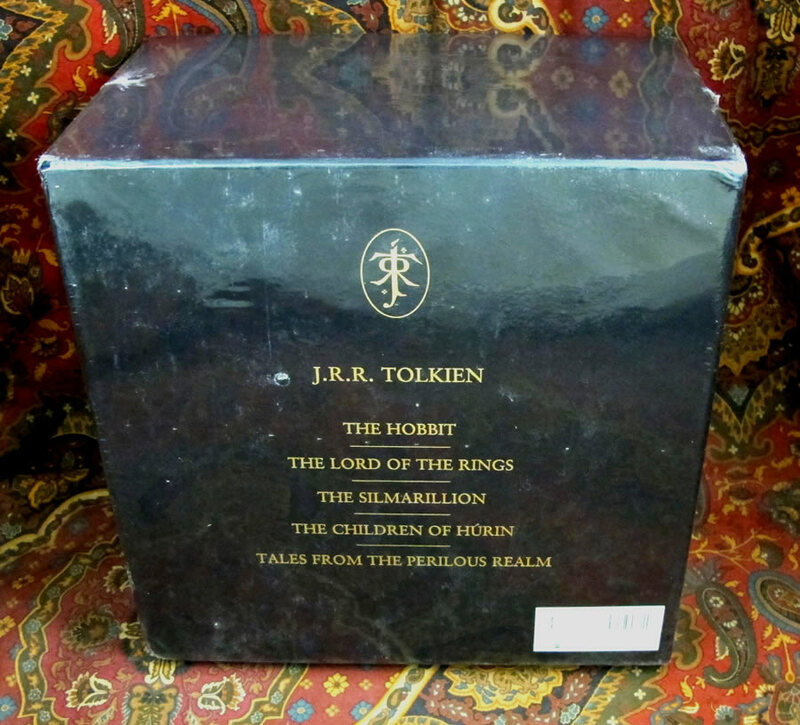 A fabulous comprehensive collection of Tolkien's major works, published by Harper Collins. Not available for sale in the US. 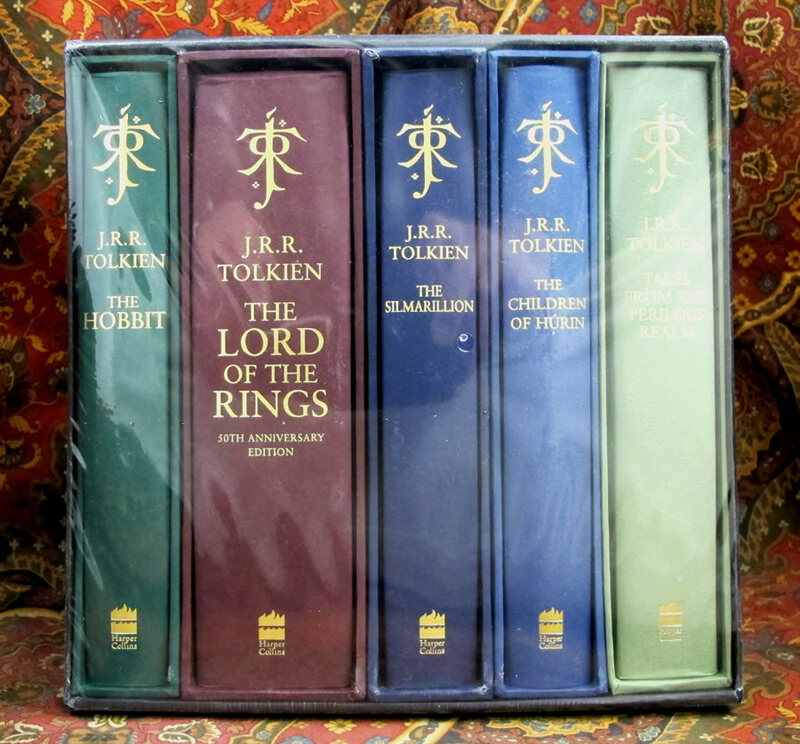 This collection features five of their 21st Century Deluxe Slipcased Editions, apparently limited to only 100 sets, released in 2012. 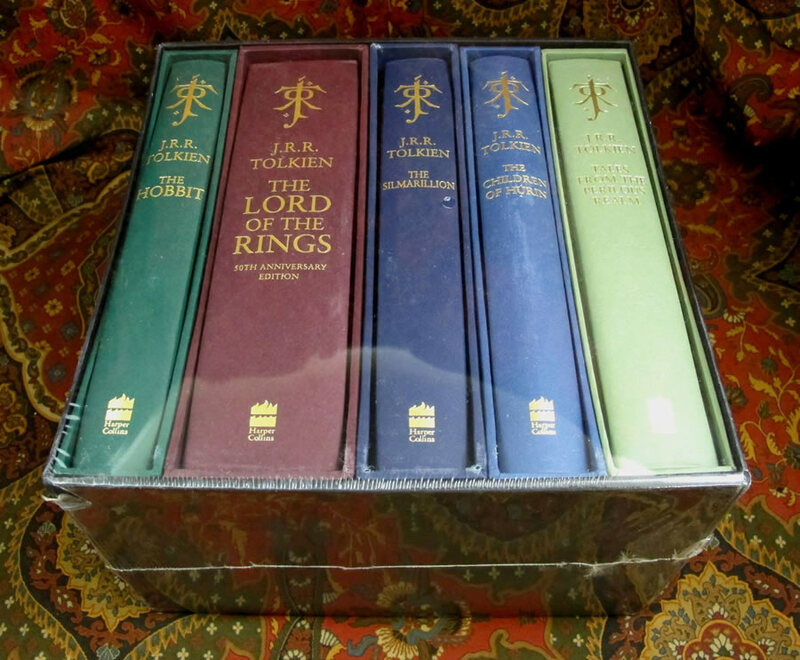 Their previous collection only contained four of the slipcased editions. 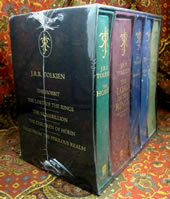 This set includes the Harper Collins Deluxe Slipcased Edition of The Hobbit, the only edition to feature all 13 of Tolkien's own illustrations for the book, reproduced in full color, together with his original maps reproduced as he originally intended, but not previously achieved in nearly 70 years of publications. Also included is the Harper Collins 50th Anniversary Deluxe Slipcased Edition of The Lord of the Ring's, which features the pages from the Book of Mazarbul, as illustrated by J.R.R. 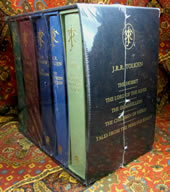 Tolkien, which he intended for inclusion but were not used previously. 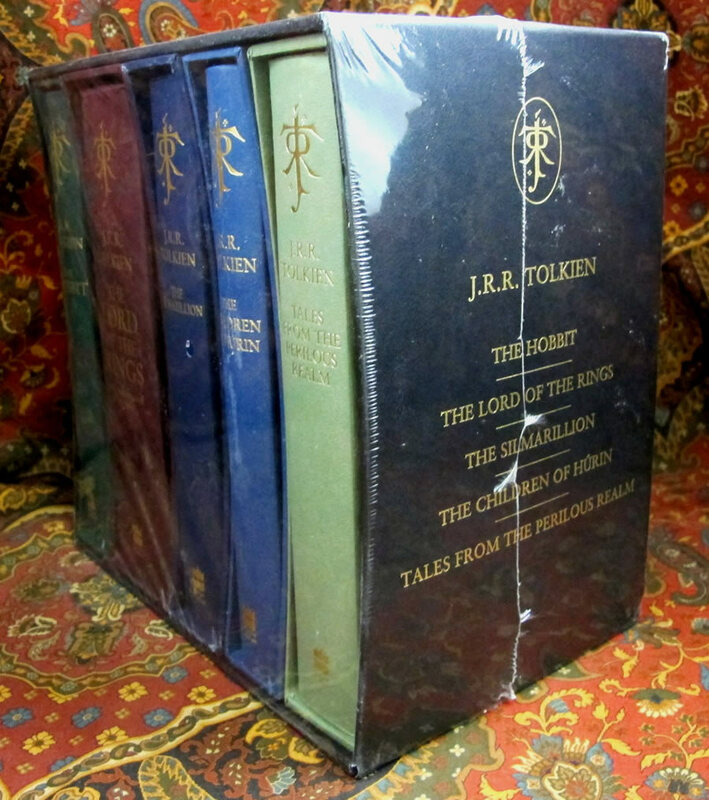 Included as well is the Harper Collins Deluxe Slipcased Edition of the Children of Hurin, which includes a ninth color plate by Alan Lee not featured inside the standard hardback. 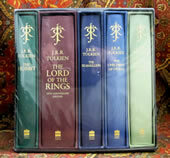 Also included is The Harper Collins 30th Anniversary Deluxe Slipcased Edition of The Silmarillion. 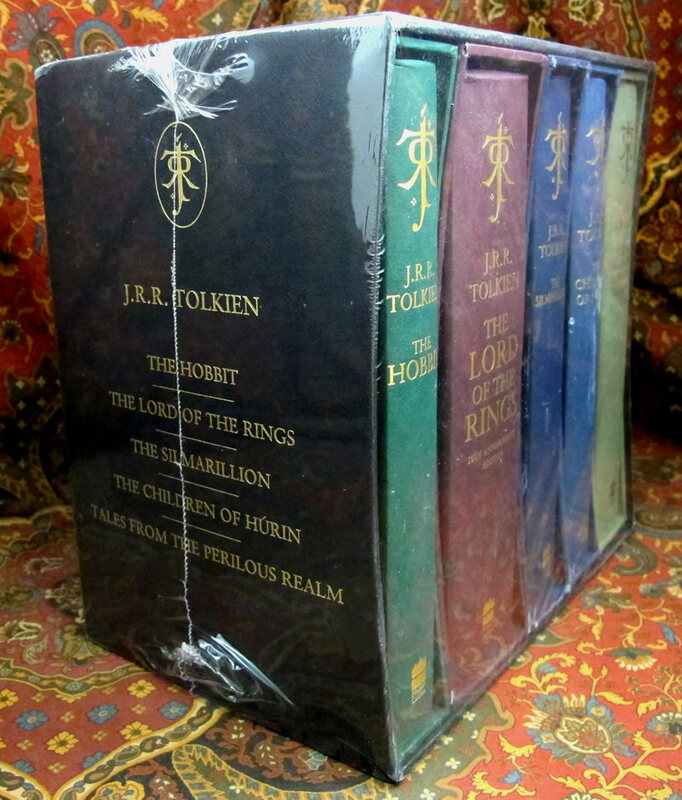 The set is still fully sealed in shrinkwrap around the complete Collections Slipcase, with each book and slipcase sealed inside the factory shrinkwrap.